Michael is a licensed and qualified Hypnotherapist, Counsellor, Psychotherapist, Life Coach, NLP Practitioner, Reiki Master, EFT Master and Trainer and Metaphysician based now in Grantham, Lincolnshire. He holds a Ph.D in Holistic Life Coaching. He was trained both in London and in the United States of America. He worked in a number of health clinics including Harley Street and the Replingham and was in successful private practice in London from 1995 to 2011/12 when he relocated his practice to Grantham after more than 17 years there in private practice. Diploma with credits in Counselling, Clinical Hypnotherapy, and Psychotherapy (1995). Diploma in Counselling, Hypnosis, NLP and Psychotherapy (1994). Diploma in Holistic Hypnotherapy and Psychotherapy (1994). 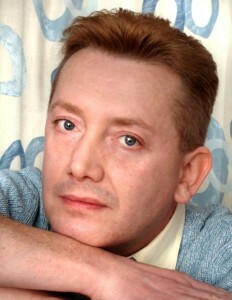 Practitioner of NLP through International Teaching Seminars (ITS) (Ian McDermott) (1996). Batchelor of Metaphysical Science, B. Msc (University of Metaphysics, USA). Accreditation in Transpersonal Hypnosis & Healing (London) (1997). 2 Accreditations in Past Life Regression & Healing. (USA and UK). Accredited by the UK National Regulatory Register for Hypnotherapy. Practitioner Diploma in Metaphysics (USA). Certification as a Meridian Energy Therapies Practitioner and Advanced Practitioner. Certification as a Licensed Trainer of Meridian Therapies. Registered with the Complementary and Natural Healthcare Council (CNHC). Accredited Hypnotherapy Supervisor with the National Hypnotherapy Society. Certificate of Mastery as a Reiki Master and Seichim Master. He is also a member of a number of professional bodies in the fields of hypnotherapy, psychotherapy, counselling, EFT, NLP and Transpersonal Therapy and Healing in the UK and USA. “My mission is to enable you to realise your true potential. I will show you how to change your focus and perception to have the life you desire. I am here to support and help you with your personal, interpersonal, business and spiritual life through assistance and guidance and a variety of professional interventions to become a better human being“.